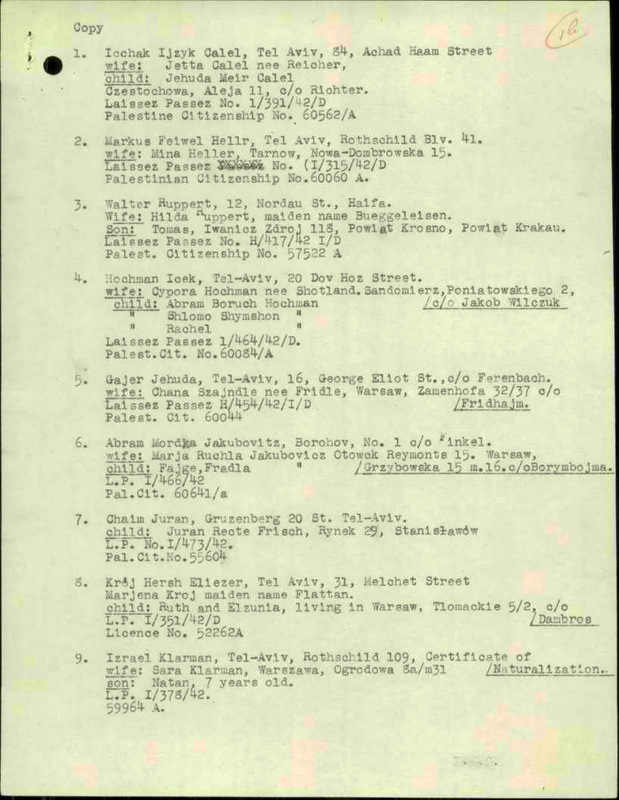 Lists of persons issued certificates now in occupied territories during World War II in 1943, that are residents and citizens of Palestine. 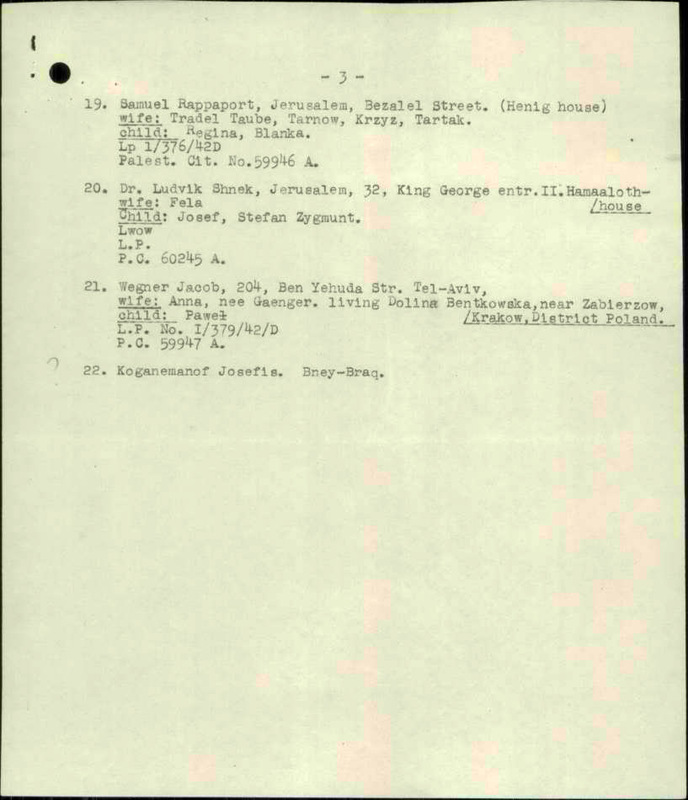 The file was found in the Israel State Archives. List each person on a separate line.